This plugin offers Python scripting access to Claws Mail. console, or stored in scripts. keyboard shortcuts to them just like it is done with other menu items. using Claws Mail's builtin toolbar editor. by placing files into ~/.claws-mail/python-scripts/compose. replying or forwarding a message. The distribution comes with some example scripts. in order to extend or modify the user interface or automate repetitive tasks. to find out about all possible options. 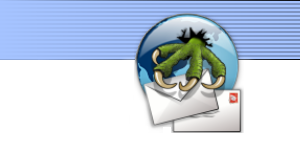 The interface to Claws Mail in this module is extended on a 'as-needed' basis. If you're missing something specific, try contacting the author. |  Do not construct objects of this type yourself. |  ComposeWindow objects. Optional argument to constructor: sender account address. |      content set to text. |      contents set to text. |      string of the filenames that are being attached. |      Get a string of the current From header entry. |      Gets a list of headers that are currently defined in the compose window. |      the header name (entry in the combo box) and the second element is the contents. |      Get a string of the current subject entry. |      None is which case the message will not be saved at all. |      Set the From header entry to text. text must be a string. |      Beware: No sanity checking is performed. |      In the usual case, Claws Mail keeps track of the modification status itself. |      dialog on close like a manual edit. |      Set the subject to text. text must be a string. |  The identifier is an id string (e.g. '#mh/Mail/foo/bar'),create_if_not_existing is a boolean expression. |      Get identifier for folder as a string (e.g. #mh/foo/bar). |      DEPRECATED: Use identifier property instead. |      Get a tuple of MessageInfos for the folder. |  A MessageInfo represents a single message. |      Add a tag to this message. If the tag is already set, nothing is done. |      If the tag does not exist, a ValueError exception is raised. |      the first one is returned. |      Returns a tuple of tags that apply to this message. |      Returns True if the forwarded flag of the message is set. |      This function is deprecated in favor of the 'forwarded' attribute. |      Returns True if the locked flag of the message is set. |      This function is deprecated in favor of the 'locked' attribute. |      Returns True if the marked flag of the message is set. |      This function is deprecated in favor of the 'marked' attribute. |      Returns True if the new flag of the message is set. |      This function is deprecated in favor of the 'new' attribute. |      Returns True if the replied flag of the message is set. |      This function is deprecated in favor of the 'replied' attribute. |      Returns True if the unread flag of the message is set. |      This function is deprecated in favor of the 'unread' attribute. |      Remove a tag from this message. If the tag is not set, a KeyError exception is raised. |      Returns a flat list of the tree, disregarding the nesting structure. |      The nesting of the tree elements is represented by various levels of indentation. Copy a list of clawsmail.MessageInfo objects to a target folder. The target_folder argument has to be a clawsmail.Folder object. This function deletes an existing tag. Raises a KeyError exception if the tag does not exist. row in the folder view. Takes an argument of type clawsmail.Folder, and selects the corresponding folder. Get a tuple of Account objects representing all accounts that are defined in Claws Mail. Return the object representing the currently selected account. Return the object representing the default account. Without arguments, get a list of folder trees for all mailboxes. returns a tree of subfolders with the given folder as root element. returns a tree of folders with the given mailbox as root element. mailbox name. The function then returns a tree of folders of that mailbox. In any case, a tree consists of elements of the type clawsmail.Node. Returns the currently selected folder as a clawsmail.Folder or None if no folder is selected. Returns the currently selected mailbox as a clawsmail.Mailbox or None if no mailbox is selected. Get a tuple of Mailbox objects representing all mailboxes that are defined in Claws Mail. Returns the gtk.ActionGroup for the main window. Returns the gtk.UIManager for the main window. Get a list of clawsmail.MessageInfo objects of the current selection. Get a tuple of strings representing all tags that are defined in Claws Mail. This function creates the given tag if it does not exist yet. It is not an error if the tag already exists. In this case, this function does nothing. However, if a reserved tag name is chosen, a ValueError exception is raised. Move a list of clawsmail.MessageInfo objects to a target folder. string corresponding to the type. This function renames an existing tag. Raises a ValueError exception if the old or new tag name is a reserved name. Select a list of clawsmail.MessageInfo objects in the summary view.